. يعرف YHA Australia Hostels بالمستوى الراقي لخدماته ولباقة موظفيه، وهذا ما ستجده في Coolangatta YHA. هذه بعض الخدمات الموجودة في هذا الفندق: مرافق مخصصة لذوي الاحتياجات الخاصة, تسجيل وصول/خروج سريع, تخزين الأمتعة, واي فاي في المناطق العامة, صف السيارات. تنعكس أجواء Coolangatta YHA في غرف الضيوف.غرف لغير المدخنين, خدمة الإيقاظ, شرفة/ تراس, ستائر التعتيم, مروحة هي بعض الميزات الموجود في العديد من الغرف. يقدم الفندق العديد من الفرص للاستجمام كمثل الغوص السطحي, دروس في الركمجة, حمام سباحة خارجي, كرة الطاولة, حديقة. إن Coolangatta YHA هو مكان مثالي للمسافرين الذين يتطلعون إلى الراحة والاستجمام في جولد كوست. I stayed here to be closed to airport so I can go there early next morn. the place is not too close to surfers but close to coolangatta beach . nice beach there even better than surfers i feel . but hv to take a bus FM opposite the yha to get there. this place also hv a small pool though I did not get to dip in there . big kitchen n even hv a cold room . i wish to say it's great but room hv no aircon so a bit hot in night . My flight was late at night and me and my gf needed a place to freshen ourselves before the 12am flight. This place is very near the airport and very suitable to freshen up yourself and rest before a long flight. Unless you have sthg to do near the airport, it's very far away from the local attractions. However, I was very satisfied with my stay! The fact that I have a 9am flight to catch means I would need to spend a night somewhere near the airport to avoid high cost of transport. This hostel fits the purpose. With a reasonably priced 24 hours locker storage service, clean bedroom and toilets, this is a good recommendation to everyone out there. 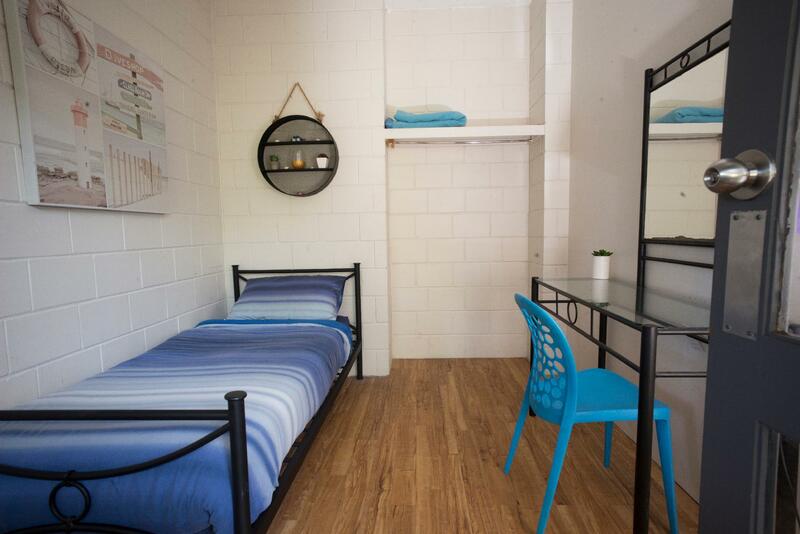 Great for backpackers but not suitable for travelers with young children and seniors. I STAYED THIS HOSTEL THE LAST NIGHT OF THE FLIGHT. NICE ENVIRONMENT.GOOD FRIENDLY STAFFS. it places near from gold coast airport so that it's convenient but a little bit noisy because of the sound of airplanes. staffs are all kind and friendly. not so far from the bus stop as well. Stayed here for my next morning flight from Gold Coast Airport. Convenient. Stayed here as it was close to the airport and good value, definitely worth every penny and the staff were super accomodating. Shuttle was a great plus, as was the cool vibe. The other people staying there were quiet, courteous but friendly and approachable. Only stayed the 1 night (and it was super hot) but would recommend it and come again for a couple of nights next time. Thanks for everything cooly yha! 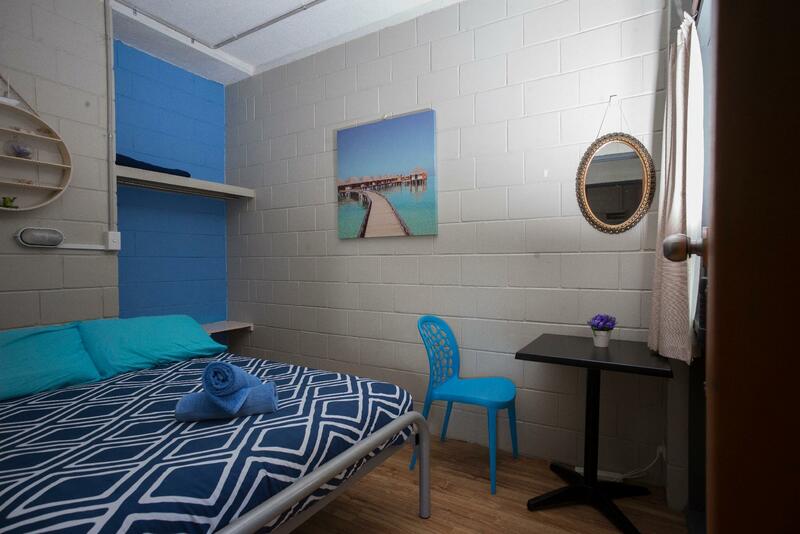 The hostel is ideally suited for those with early flights departing OOL the next morning. Go in expecting a hostel and not a hotel and you won't be disappointed. The rooms and bathrooms are clean, but the mattresses are quite thin. 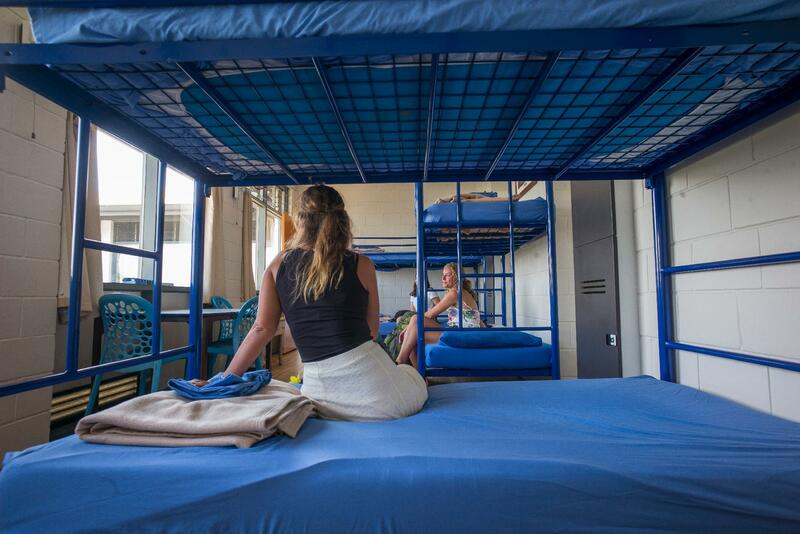 Make sure you have clearly chosen a bed in the 11-bed dorm as you don't want to go into the room late at night to find someone sleeping in a bed you thought you had chosen as your own. I booked in here for 2 nights due to flight times not lining up. The place is basic & no where near 4 star as they claim but it is budget so I wasn't expecting too much. Upon check in I was asked for a key deposit of $20. This is where the problem started as when I went to check out at 7am the reception was closed. Their was a bloke emptying garbarge bins in reception who I'd seen working on reception the day before. I then asked him for my deposit back & his reply was I'm not working on reception. Basically he thought that was all he had to say to me. I told him that wasn't good enough & YHA had an obligation to give me my money back as I was returning the key. He then got rude by shaking his finger in my face. I told him that if I wasn't getting my money back then I was keeping the key. Some how amazingly he was then able to reach in his pocket & unlock the reception & refund my money. From the time he'd made the decision to help me it would have taken 20 seconds to check the records & refund my money. All this could have been avoided so easily. This persons attitude completely spoiled my stay at YHA & will now never stay here again. The place was very clean, comfortable and safe. The facilities was good i.e. they have hot water for instant cooking and vending machine for food and drinks. My friends and I really enjoyed our 2 nights at Coolangatta YHA. The place that very near to the airport made it easily accessible and convenient for us. It was great to spend our nights there and we had met many very nice people. 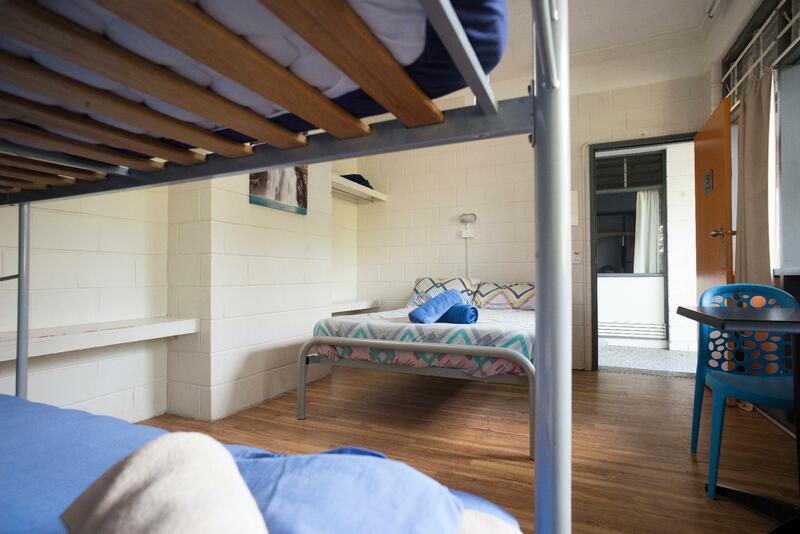 The condition at the hostel made you feel safe and at the same time feel very comfortable. There were a lot of guests stayed there, but it was not noisy. Everyone seems to enjoy the place very much. Plus the staff was very friendly and helpful. The location was superb which was only 5 to 10 mins away from the airport, the staff were very helpful in terms of providing assistance and the cleanliness of the hotel. It was a great experience. The location was perfect and directions to the hotel was accurate which makes it a really good choice for those who are looking for accommodation for a couple of hours. The staff were also well informed and are able to assist me in my questions on my upcoming journey. Having been upgraded to a single occupancy room was a real surprise and the whole area and room were very clean and comfortable. I was thoroughly surprised as seeing as this is my first hostel stay -- was bracing for the worst. I would certainly come back here to stay again should there are any more solo travelling in future.